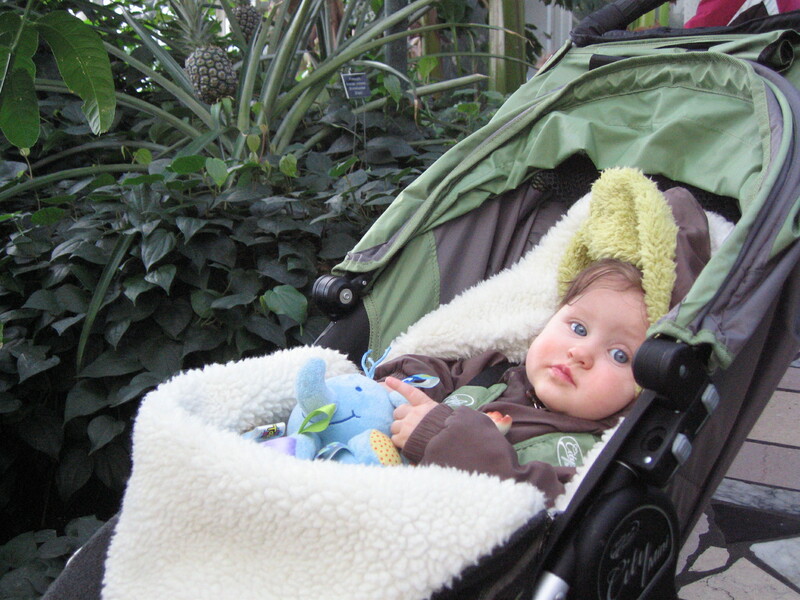 On the Sunday before going to Arizona, Evelyn and Dad took a little trip to the Como Conservatory. Evelyn had a really good time – it was her first time seeing fresh green plants in a while. For that matter, it was Dad’s, too. There were lots of cool things to see – the fern garden, a huge coconut palm, lilies, and a fig tree that was pruned all the way back to naked! But the coolest was the spice area, where there were bananas, cinnamon, an allspice tree, and even a pineapple! 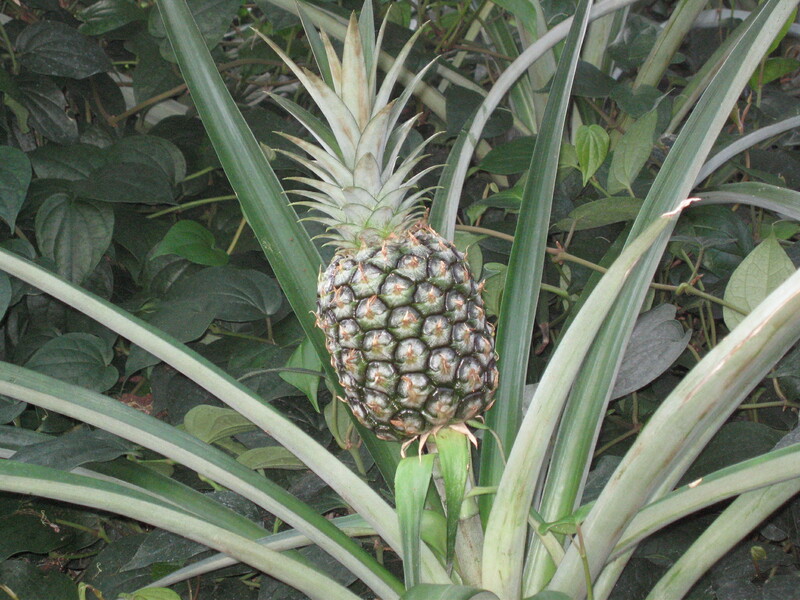 Dad had seen pineapple plantations before, but not up close – and certainly not a baby pineapple growing inside! She was pretty thrilled when she got to see the anaconda swimming in the tropical exhibit in the zoo, but there aren’t any pictures of that – you’ll have to trust me. Next – more Arizona fun!